Blowout Sale! Save 55% on the doTERRA Wild Orange Essential Oil - Powerful Cleanser and Purifying Agent, Supports Healthy Immune Function, Uplifts Mind and Body; For Diffusion, Internal, or Topical Use - 15 ml by doTERRA at NY Atan. MPN: 30170001. Hurry! Limited time offer. Offer valid only while supplies last. Cold pressed from the peel, Wild Orange is one of doTERRA’s top selling essential oils due to its energizing aroma and multiple health benefits. Cold pressed from the peel, Wild Orange is one of doTERRA’s top selling essential oils due to its energizing aroma and multiple health benefits. High in monoterpenes, Wild Orange possesses stimulating and purifying qualities, making it ideal to support healthy immune system function when seasonal threats are high. As with many citrus peel oils, Wild Orange contains powerful antioxidants that help maintain overall health. It can be taken daily to cleanse the body or used on surfaces as a natural cleaner. Diffusing Wild Orange will energize and uplift the mind and body while purifying the air. 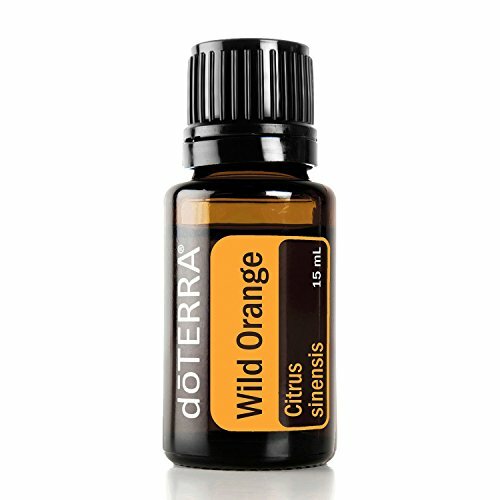 Wild Orange enhances any essential oil blend with a fresh, sweet, refreshing aroma. Use in an all-purpose spray to cleanse and purify surfaces. Add a drop to your water every day for a burst of flavor and to promote overall health. Diffuse to uplift mood and energy levels and to freshen the air. For an energizing boost, dispense one to two drops in the palm of your hand along with equal parts Peppermint and Frankincense. Rub palms together and inhale deeply from palms, then rub on the back of neck.